Business Documents UK are experts in Roadmap Template formats – our consultants have been leading in this space since 2005. 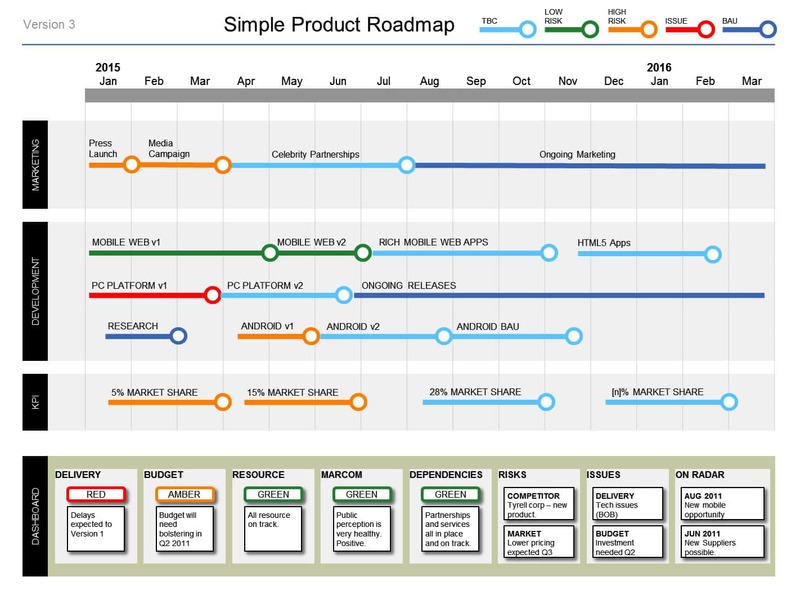 What is a “Roadmap” Format? We have a good article here, on “how to create your project roadmap“. Get at least 30% discount on our best selling roadmap templates when you buy them in a “bundle”. The Roadmap Template format is used widely in “Agile Project Management”. This entry was posted in Document Templates Roadmap and tagged Business Templates portfolio Powerpoint Programme Roadmap roadmap templates Visio VSD on December 19, 2009 by Jeff Armstrong.